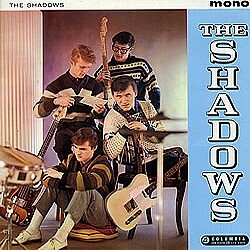 The Shadows take this popular theme tune of the 50s at a relaxed pace, with mellifluous lead and finely judged rhythm accompaniment. 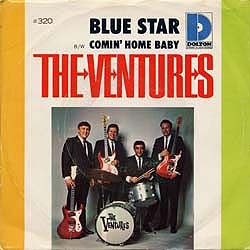 Generally highly regarded in Ventures circles ("hauntingly beautiful" Dave Burke), and a recurrent element in a host of compilation albums from Japan (the Shadows version was popular there too), their rendition comes "complete with the ear-catching phrases first heard on The Shadows’ version of this much-recorded tune" (Ray Steer, Pipeline 63  65; closer details in A Pocket Guide To Shadow Music p.56). 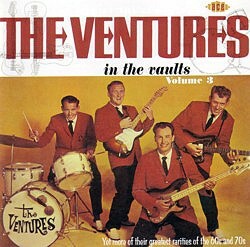 It deploys the basic 3+1 line-up enhanced by a variety of effects, notably steel guitar (and the later single by delicate vocal overdubs). 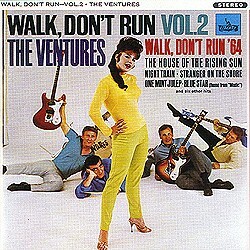 Like many of the slower numbers they essayed in the 60s, it is bright, big and bold, full of emphases. A rather mellower, and to these ears more pleasing, workout overall is to be found on the Japanese 2LP On Stage ’75 (no steel guitar naturally, and no great loss, some might feel).